These findings resonate well with a later and similarly expansive Gallup Poll, which took into account the views of employees from 44 organizations and 10,600 business units. 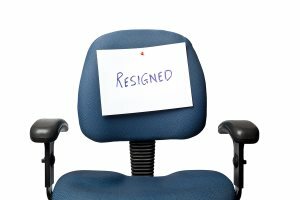 Gallup found an almost identical top four reasons for employees voluntarily leaving. Between these two substantial surveys we have a fairly good grasp on why good employees leave voluntarily. Of course, ordinarily staff retention is a key focus of the ‘at work’ HR Business partners and employee relations team. However, upon knowing these top reasons for employees leaving it becomes clear that there are real steps that recruiters can and should be taking to not only hire staff well, but to hire staff in a ‘sticky’ way so they stay for the long term. Thus, putting recruiters in a strong position to be able to say that they make a meaningful contribution not just to staff attraction, but staff retention. This also raises their profile within the organization they work in or serve. Listed below are the top four reasons that employees leave and four corresponding actions that recruiters can take during the recruiting process to help counteract these issues. 1. Limited career/promotion opportunities. Recruiters should check that the candidate’s career development and advancement expectations are closely aligned with what the organization is able to offer. That is, can the business meet the career development needs of the candidate? If the answer is no, then this candidate may be a risky hiring prospect who may be likely to leave prematurely. 2. Supervisor lacked/respect support. Recruiters should develop job descriptions with detailed manager profiles so the employee can see their potential supervisor’s management style and team culture – and see if it will be a good fit. Ensure that the candidate’s preferred style of being managed matches up with the manager’s preferred style of management as a mismatch could lead to an early voluntary exit by the employee. 3. Compensation. Be concerned about candidates who are singularly focused on compensation. Why? Because, if, as a subsequent employee, they become dissatisfied with their pay, the fact that they don’t place much value in other areas of the brand offering like culture, training and career development opportunities, means these other perks will not serve as retention devices. This type of ‘money fixated applicant’ will be much more vulnerable to premature departure than a candidate who places value in many of areas of the brand offering. 4. Job duties boring/no challenge. Clearly, recruiters should be encouraging line managers to produce comprehensive job descriptions that accurately reflect the duties, responsibilities, scope of the role, flexibility, and key contacts in order to provide an all-round feel of the role. Also, make use of Realistic Job Previews (RJP) which is a process where you give the employee a view of both the positive and negative aspects of the job. Research shows that use of RJPs means the employee will be better able to cope with the stresses and strains of the job and be more satisfied. I believe that the modern recruiter or talent acquisition professional can add greater value to the organizations that they serve or work for by placing an emphasis on hiring ‘sticky’ employees who are selected to not only be good, but to actually stay for the longer-term and enable the employer to fully realize the investment they made in the new recruit.